A short introduction on Half Past Four’s Facebook page that opens up a whole world of amazing musical mayhem, self-expression and Joie de vivre from this incredible Toronto band. I’ve had a quite lengthy and intense period of writer’s block recently, I’m not going into the reasons but I was beginning to fear I wasn’t going to see the light at the end of the tunnel. As ever, my love of music (and a severe kick up the proverbials from some close friends) has finally got me out the other side. 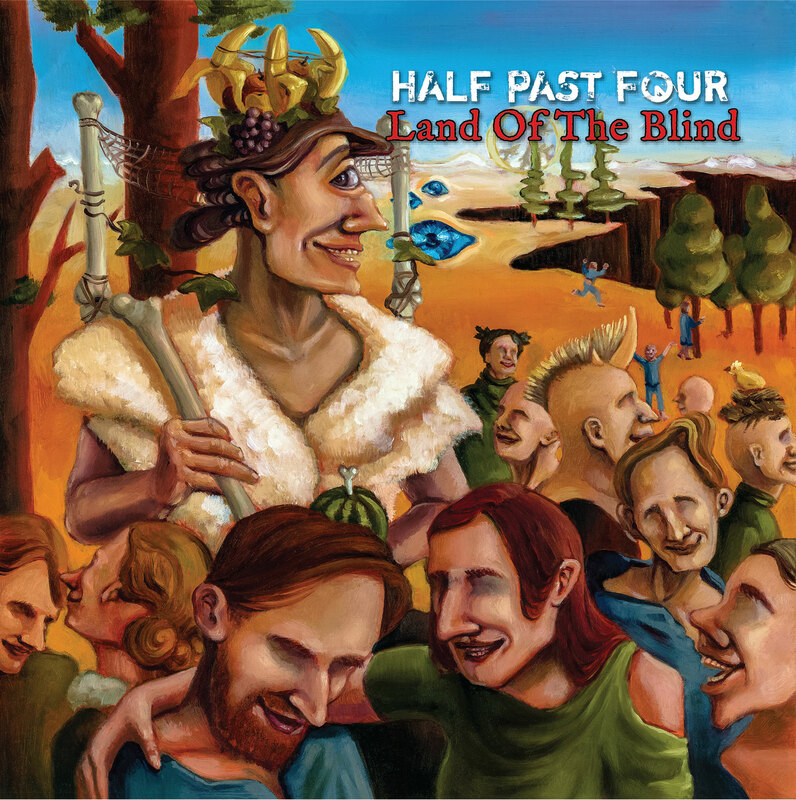 Half Past Four is one of the best progressive rock bands to have emerged from Canada. 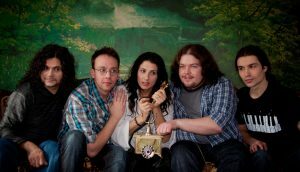 Over nearly two decades, they have developed a unique sound, employing traditional prog-rock music laiden with folk, country, jazz, heavy metal and classical genres, among others. Each member of Half Past Four is a virtuoso in their own right. Together, they form somewhat of a familial gestalt. Each band member brings a proficiency, originality and respect for the whole that propels their combined efforts into a place beyond simple classification. Constantin Necrasov (Guitar), Dmitry Lesov (Bass & Chapman Stick), Igor Kurtzman (Keyboards), Kyree Vibrant (Vocals) and Marcello Ciurleo (Drums) have been compared to early-80s King Crimson. Yet any comparisons can only truly function on a per-track basis. While one piece might sound reminiscent of late-70s Yes, listeners might feel the influence of early Pink Floyd in the next piece, followed by a piece that harkens Primus in the 1990s. Or Kate Bush in the mid-80s. Like the best of progressive rock music, the listener cannot predict where the band will take them next. It is this shifting flow of sound and feeling that distinguishes Half Past Four. They are an aural tapestry, weaving 50+ years of musical influences into mellifluous melodies and rhythmic resonances that take their listeners on a journey to states that are both fresh and familiar. ‘Land of the Blind’ is a five-track mini-LP and follows 2013’s ‘Good Things’ and 2008’s ‘Rabbit In The Vestibule’. 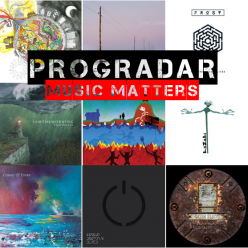 Opening track Mathematics brings to mind high-energy jazz-infused progressive rock with a little addition of impish fun. Kyree’s vocals are smooth and yet she seems to sing with a twinkle in her eye, they are the perfect foil for the brilliant musicianship on show, hugely influenced by the 70’s era of progressive rock and its ilk. You can see where the King Crimson influences come from with the edgy rhythm section and Constantin’s hugely expressive guitar playing. Throw in some epic Hammond from Igor and it is a brilliant exhibition of joy filled music played with an innate love and affection and you just can’t help smiling, left with a carefree happiness in your soul. The funk-meter is turned up to ten with the superb Mood Elevator, a Van Der Graaf Generator-esque opening with some hushed and spooky vocals sets the scene for what turns into a super-smooth and laid back song that couldn’t be more cool if it tried. The funky keyboards and charming guitar open the way for Kyree’s sparkling vocal performance, an amalgamation of 70’s funk and jazz with an utterly indulgent feel. It’s got hints of West Coast surfer freedom with psychedelic prog running through the middle and just a hint of lunacy hiding in the background, all of which adds up to one jubilant gem of a track. Fans of 70’s cult Canadian art-rockers Max Webster will be delighted by the cover of Toronto Tontos, a bold statement if there ever was one. Edgy, restless and skittish, it bounces around from riff to riff with some energetic drumming and seems to never want to stand still. The vocals are brash and direct and I found myself jumping around and grinning inanely at the anarchic feel of it all, enhanced by the french lyrics. All sharp with 90 degree angles, there isn’t a smooth edge to be found, especially on the caustic guitar solo which ends up giving the song a properly punk feel to it. One Eyed Man seems to take a bit from the previous track with it’s almost crafty-cockney vibe (if that makes sense? ), as if Kyree has had elocution lessons from Damon Albarn after he’s sung ‘Country House’. Another wildly inventive track that has no agenda and is just there for the fun of it. We are talking King Crimson meets VDGG and goes off to the pub for a bender. The irreverent guitar solo is a thing of mad genius and you just get the impression that this band have a definite hint of mild insanity to them and it is that that gives them their uniqueness and I, for one, love it. The final track on this oh-too-short mini-LP is Mirror Eyes and this brings a hint of seriousness back into the equation. An intent and earnest intro is opened up by Kyree’s voice, this time with more passion than humour and the piano playing is stylish and suave. There is a hint of jazz lounge to the rhythm section, guitar and piano combination but always a little sense of mischief hiding in the back, it’s like a Ben Folds Five influence but with a more mature feel. I am captivated by Kyree Vibrant‘s wonderfully intense voice and the prodigious musical talent that backs her up to the hilt, it is quite sublime. As this absolutely jubilant and refreshing record comes to a close I just cannot help but smile. These are vistuoso musicians without a trace of smugness or superiority, they just play and sing for the love of the music and it shows, in spades. A joyous expression of love, hope and humour all rolled into an incredible package that you just can’t resist. I recommend plenty of albums but I’d prescribe this to everyone to save your sanity and give your life a boost of happiness and enjoyable irregularity.